Joseph Villani, of Ocean, pleaded guilty on Friday, Jan. 4, to first-degree aggravated manslaughter, second-degree conspiracy to commit armed robbery, first-degree armed robbery, second-degree disturbing of human remains and third-degree witness tampering before Monmouth County Superior Court Judge Joseph W. Oxley. Oxley sentenced Villani. The sentence carries a minimum of 25.5 years’ incarceration before Villani is eligible for release. Once released, Villani will be under parole supervision for five years. 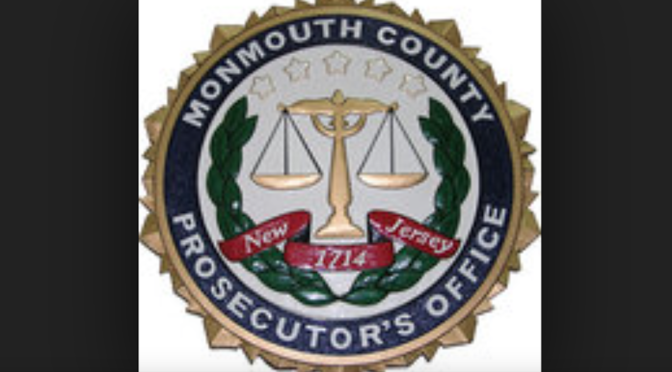 The charges were a result of a joint investigation by the Monmouth County Prosecutor’s Office, Ocean Township, Wall Township, and Asbury Park police departments after Patel was found dead in Shark River Park on Feb. 22, 2017. A Monmouth County Park Ranger, who was collecting litter in the area, discovered the body of the 29-year-old Brick Township man old along the side of Gully Road and down a slight slope. The Park Ranger reported the discovery at approximately 8:37 a.m., when officers from the Wall Township Police Department were dispatched to the area and confirmed the presence of a deceased male. Ultimately, detectives involved in the investigation determined the homicide had occurred at Joseph Villani’s Ocean Township residence in the afternoon of Feb. 6, 2017. Villani was arrested for the homicide on Feb. 25, 2017. Continued investigation revealed evidence that Villani conspired with his girlfriend, Raquel Garajau, to commit these crimes and that she aided him in destroying and concealing evidence in connection with the robbery and homicide of Patel. At his plea hearing, Villani admitted that, while dating Garajau, the couple planned to rob Patel. Villani said that Garajau assisted him with the planning of the robbery and knew that he would be armed with a .22 caliber Marlin long rifle. He admitted to shooting the victim three times during the robbery, which occurred within the garage of Villani’s Ocean Township home. Villani told the court that after the killing, Garajau assisted him in hiding evidence and also shared in the proceeds of the robbery. This past January, Garajau, 21, of Tinton Falls, was sentenced to 33 years in prison for numerous charges, including: first-degree felony murder, third-degree conspiracy to distribute marijuana, three counts of fourth-degree tampering with physical evidence, two counts of third-degree hindering apprehension, and third-degree witness tampering.